(Apple Valley)—When Marvel Studios announced they would be making a film based on the bite sized Ant-Man, many fans groaned in disbelief. A movie dedicated to a micro sized hero that nobody knows nor cares about? Marvel must be have lost their creative minds. So how does the Ant-Man stack up in the hollowed halls of superhero films? Just like when nobody thought Guardians of the Galaxy would be anything more than a cheap novelty, Marvel has done it again and created something fun, something entertaining, with Ant-Man. Starring Paul Rudd as Scott Lang, an ex-con looking to turn his life around after finally getting released, the film weaves itself inside of the universe the previous Marvel films have already established. How can a person shrink to the size of an ant at will? That’s thanks to Hank Pym (Michael Douglas), a genius scientist who created Pym Particles decades ago, but kept the formula out of the hands that could weaponize his discovery. Fast forward to the present day, and one of Pym’s former protégés, Darren Cross (Corey Stoll) is on the cusp of creating a suit, the Yellowjacket, that can do what Pym created so long ago and for all the wrong reasons. This is what prompts Pym to think outside the box and stage a plan to confiscate Cross’s suit, a plan that involves down on his luck Scott Lang, as well as Pym’s daughter, Hope (Evangeline Lilly). What we get is a film very different from the epic, titantic films seen in previous Marvel films. Don’t get me wrong; Ant-Man delivers, just not in the same way as say, The Avengers. Rudd does a superb job as the thief with a heart of gold, Scott Lang, the Ant-Man. Douglas brings his acting prestige to help bring to life one of the most well known figures in the Marvel Universe; in the comic books, Hank Pym is one of the founding Avengers, meaning he was an Avenger even before Captain America. Not every film has to be an epic showdown of life and death- sometimes we just need a film to escape reality, laugh a little, and root for the little guy. 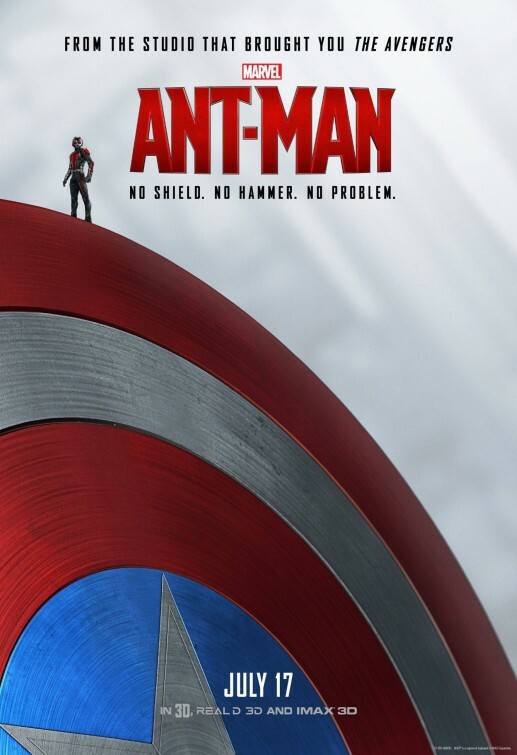 A smaller scale action flick, Ant-Man boasts amazing visuals as we see Lang learn to harness the Pym’s suit and see the world from a very different perspective. However, the Avengers are connected to this film, as Ant-Man comes face-to-face and fist-to-fist with one of Marvel’s premiere super-team. I saw the 3D version, and it looked amazing. The fight scenes really came to life, as did the scenes with the trusty sidekicks- the ants. I can’t lie; I have been a fan of Ant-Man since I was a kid, so this film really made my day. Not only do we get introduced to the current Ant-Man with Scott Lang, but we also see a new legacy of heroes built into the Marvel Cinematic lore with Hank Pym. I enjoyed this film from beginning to end, and when I say end, I mean wait until the end of the entire credits end. The pint-sized heroics of Ant-Man showed that you don’t have to wield a shield or a suit of armor to be a hero. Sometimes, you just need a little bit of a hero in you.